Summary MANCHESTER BY THE SEA is a drama about a man who agrees to give a home to his young nephew after the boy's father dies unexpectedly. 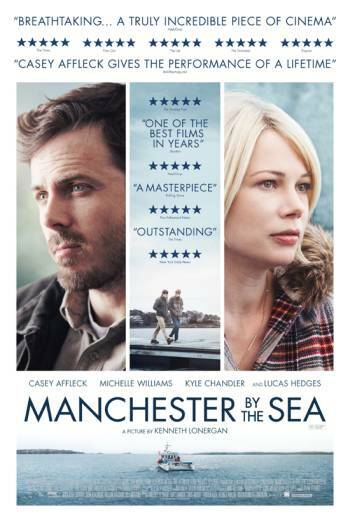 MANCHESTER BY THE SEA is a drama about a man who agrees to give a home to his young nephew after the boy's father dies unexpectedly. There is a single use of very strong language ('c**t'), employed in a sexual sense. There is also frequent strong language ('f**k' and 'motherf**ker'), some of it used in an aggressive manner. There is a theme of bereavement running throughout, including visual and verbal references to the deaths of children. There are also a couple of scenes of moderate violence involving bar brawls. There is moderate sexual activity when a couple fumble with each other's clothing.